WE ARE PROUD TO PARTNER WITH AIR CANADA AS OUR OFFICIAL AIRLINE. Save 15% off Basic/Standard/Flex/Comfort fares when you book your flight to Vancouver from anywhere in Canada and select US cities, served by Air Canada and Air Canada Rouge. 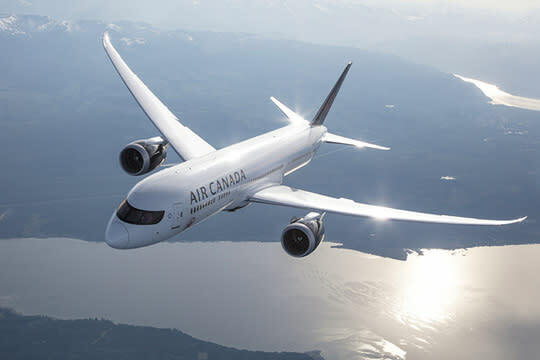 This exclusive offer is valid for round-trip bookings for travel between January 12, 2019 and February 8, 2019, on flights Air Canada or Air Canada Rouge operate to Vancouver from anywhere in Canada plus from select US cities, including Los Angeles, Las Vegas, San Francisco, Seattle, Portland, Palm Springs, Phoenix, San Jose, San Diego, Chicago and New York (Newark). Bookings must be made before December 21, 2018. Experience award-winning service and a large selection of flights to Vancouver with Air Canada. For information about Vancouver and all the great things to see and do while you&apos;re here, visit tourismvancouver.com. Don&apos;t forget to book one of our delicious room rates or Dine and Stay packages to save even more! This offer is available on new bookings only. The discount applies on undiscounted Air Canada published Basic/Standard/Flex/Comfort fares when booking on aircanada.com and cannot be combined with any other discount offer. Some previously discounted fares, while not eligible for the promotion, may be lower than the final price of the undiscounted fare to which the promotion applies. The discount applies to the base fare only, which form part of the applicable air transportation charges. Surcharges, which are also included in the air transportation charges, as well as applicable taxes, fees and charges are not discounted. This offer is valid on Air Canada, Air Canada Rouge operated flights and Air Canada Express TM carriers (Jazz Aviation LP, Sky Regional Airlines Inc., Air Georgian or Exploits Valley Air Services LTD) Codeshare flights are excluded. Air travel must be booked before December 21, 2018. See complete details on baggage allowance and fees at aircanada.com/baggage.